Romney will win the Republican nomination by default in what Stewart is calling "Indecision 2012 Mercy Rule Edition." Mitt Romney will win by default for the Republican vote, Stewart predicts. 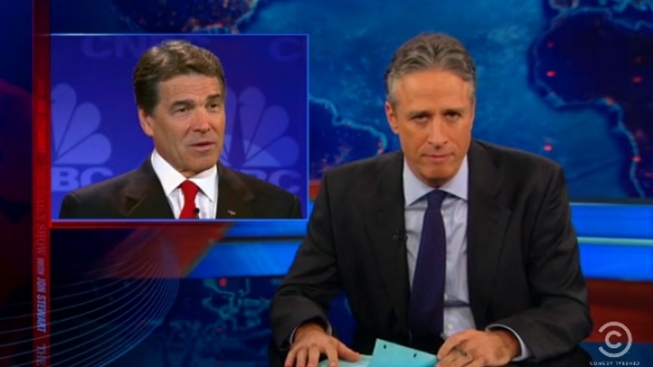 On last night’s “Daily Show,” host Jon Stewart called Rick Perry’s now-infamous flub a “brain turd” and, a year before the 2012 presidential election, decided who the Republican presidential candidate would be by default.